TTIV is excited to share the unique commuting perspective of a reader who recently moved from Long Island to Philadelphia. We will give this reader the Shakespearean name, "Phrynia." Phrynia now travels on the regional SEPTA, or Southeastern Pennsylvania Transportation Authority train service. I couldn't resist the opportunity to compare commuter rail lines, so I've been pressing Phrynia for information. She provided an avalanche of interesting details about the differences between SEPTA and the Long Island Rail Road. The middle seat is not evil on SEPTA. On several occasions, Phrynia has witnessed a rider approach a three-seater where the aisle and window seats were taken. The rider says "excuse me" to the person in the aisle seat. Phrynia has witnessed the person in the aisle seat voluntarily slide into the middle seat, allowing the new rider to have the aisle seat. On the LIRR, the aisle seat denizen would emit a loud sigh, make evil eye contact with the intruder, and then stand with a sour face to let the intruder sit. The person by the window would be just as bitter. 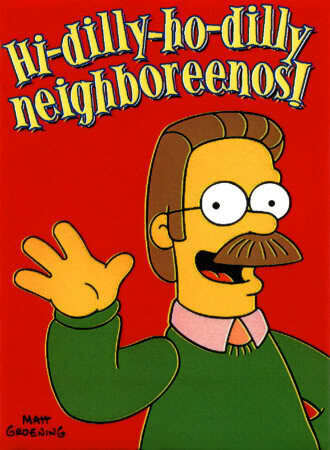 General friendliness. Phrynia has found that when she sits down in a two-seater where one seat is already occupied, the seated person often greets her with a "good morning" or overall cheeriness. On the LIRR, the person already sitting would not acknowledge her existence. Worse, if the sitting person were an iron oozer (definition here), he would not yield a micrometer, even if he violated seat boundaries. Handling of delays. When SEPTA trains are late, SEPTA management calls it a "delay." When there is a major schedule slip, SEPTA employees come out to the platform, share information, and answer questions. On the LIRR, they call the train "on time" if it reaches its destination within six minutes of the scheduled arrival time. 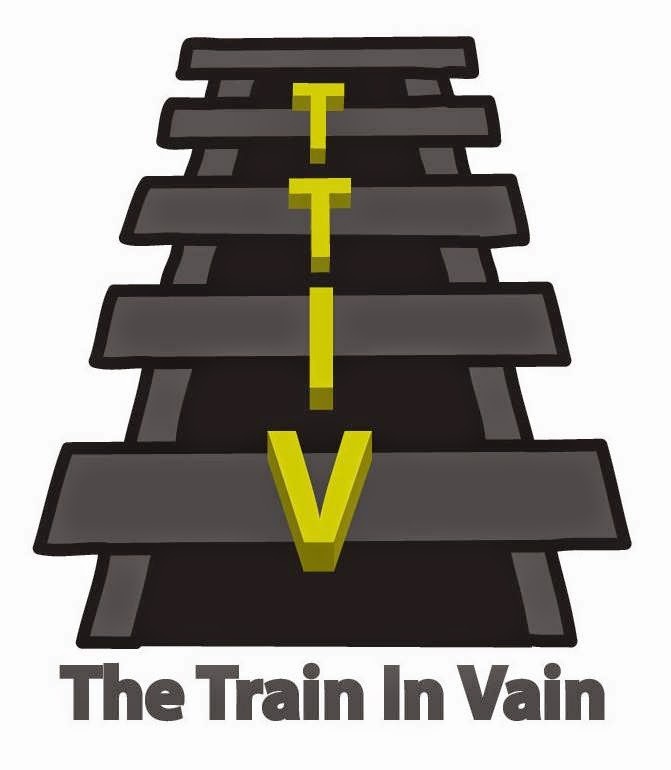 By TTIV observations, the LIRR defines "six" as "twenty." The LIRR also make unclear announcements, such as "the 7:29 train to Penn Station is being held." Whenever I hear that, I picture a mother train holding and cradling a baby train. Cost differential. A monthly ticket on SEPTA for a 40-45 minute ride is $191. On the LIRR, a monthly ticket for a 40-45 minute ride is $287. I figure part of that difference is due to the higher cost of living in New York, and the rest is to cover inefficiencies and critical programs like pension scams. Safety procedures. On SEPTA, the conductors often open the doors before the train reaches the station. Phrynia told me that she's been on the train where a door opened and the train wasn't even against the platform. On the LIRR, trains always stop before doors open. They are all about safety, as evidenced by the endless platform reminders to watch the gap as you enter and exit trains. Of course, the concept of stepping OVER, rather than INTO the gap should be clear to even the most simplest of life forms, such as politicians. But no matter. Courtesy campaigns. 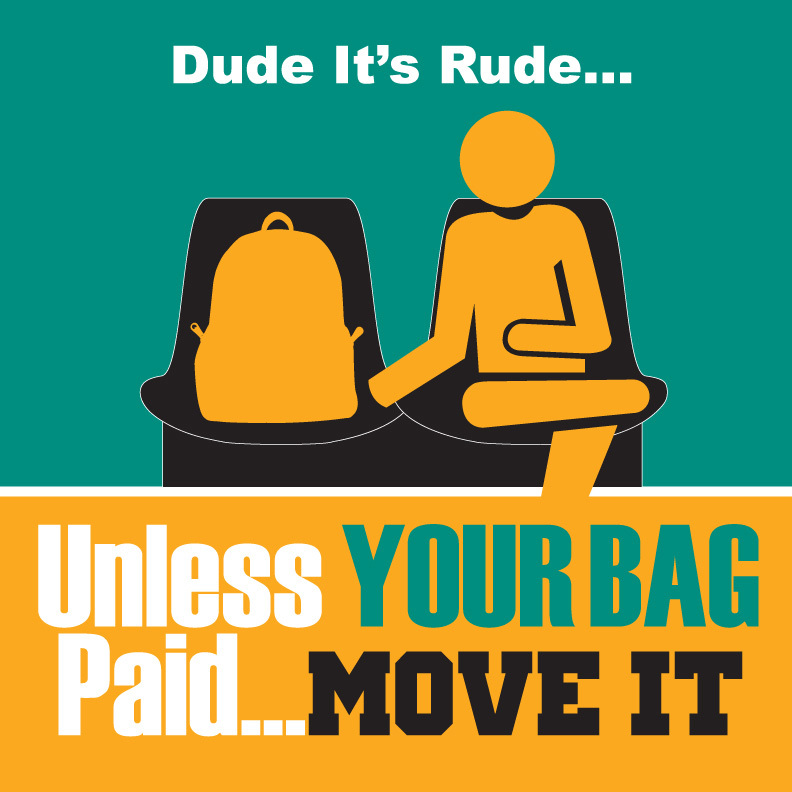 SEPTA implemented a program to remind commuters of courtesy guidelines. 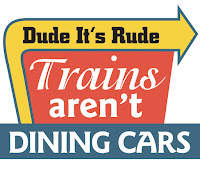 They call it "Dude, It's Rude." Check out the clever "Dude, It's Rude" images. The MTA, which oversees the LIRR, also implemented a program, and they call it "Courtesy Matters." 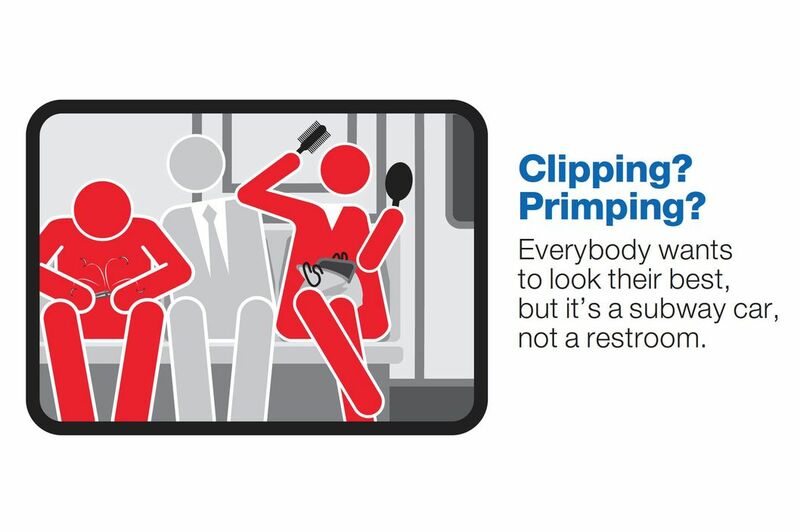 MTA covers the issues of "manspreading" and nail clipping, which is excellent. Advantage: Even. 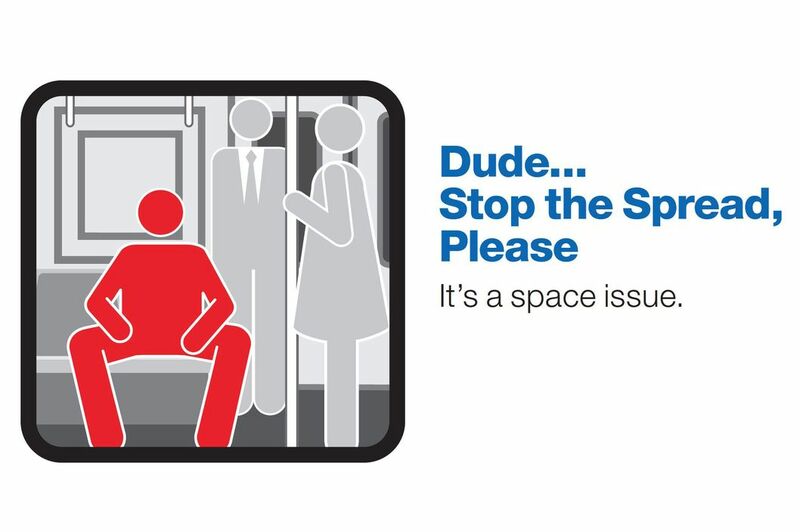 SEPTA's designs are pleasing to the eye, but the MTA's content is superb. One thing for sure, it's a kinder, gentler experience outside the New York area. However, I can't see myself being chipper and sliding over to the middle seat for another rider. Nor can I see myself giving a rider who sits next to me a friendly greeting. New York is embedded deeply in TTIV. Thanks Phrynia for your contribution! In a future post, we'll talk about how Phrynia has adjusted to the change in attitude, given her change in latitude. 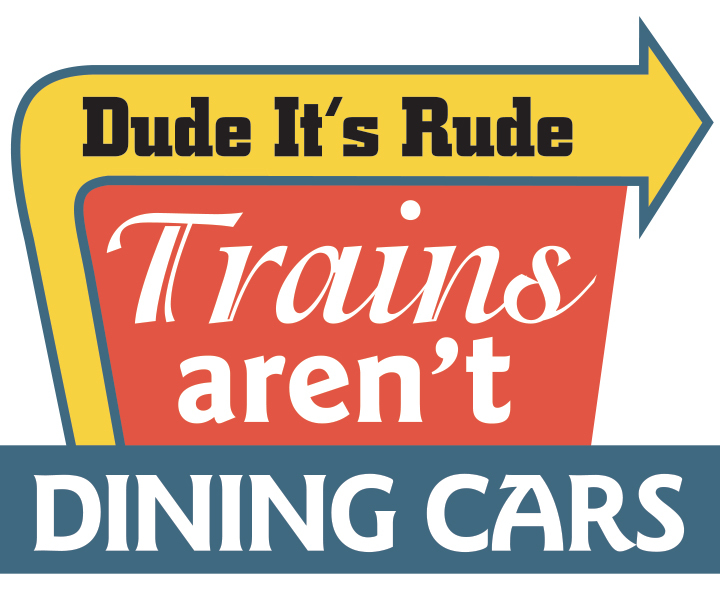 Perhaps in the next post, Phrynia can share if they have the same parking woes on Septa that we have in Hicksville. Sometimes I think it's just us with the lack of commuter parking and the pleasure of working with Edgar of course!